AGE Solutions has been founded in 2007 from an idea of two ex researchers of C.N.R. 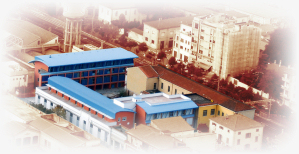 (National Research Council) of Pisa, Italy, who have been specialized in the elaboration, visualization, comparison and processing of three-dimensional data, moreover in the realisation of three-dimensional acquisition systems. The origins of AGE Solutions are in the common passion of the two founder members in the computer graphics and in the technical-scientific background that was matured during the years spent inside the V.C.L. (Visual Computer Lab) of ISTI-C.N.R. of Pisa, Italy. AGE Solutions is a company that works in an hi-tech field. It has specialized in the integrated development of hardware and software solutions for the creation, treatment, analysis and the management of three-dimensional data of high quality.These solutions allow to automate and to improve significantly many of those industrial processes (inspection, quality control, reverse engineering), otherwise expensive both in terms of time and human resources. AGE Solutions, offers the best quality/price ratio for specific solutions that have found their application in the dental, acoustic, footwear sectors and for personalised solutions, by realising hardware and software applications, standalone and/or OEM, which can be integrated in third parties of preexisting solutions. AGE Solutions' philosophy is to revolutionise the approach with 3D, by making it friendly and easy, in order to make the use of these technologies available for the masses and not a privilege for a few. For this reason AGE Solutions company has decided to open its own technology to the market, making available to everybody their exclusive tools of acquisition and elaboration of three-dimensional data. Thanks to a technology, as result of years of research in 3D and to a development team highly qualified that works with passion and competence, AGE Solutions offers hardware and software solutions of quality, flexible and highly innovative, at very competitive prices. All other trademarks, icons, and logos, shown or mentioned in this site, are property of their respective owners.